Welcome to Texas’ premier event space. Located just one mile west of Bushland off of I-40, our perfect location makes it easy for guests to access us. Our facility rests on several acres of Texas land, allowing you and your guests to enjoy the beautiful sunsets from our front porch. With more than 10,000 square feet of space, our Amarillo event center is one of the largest in the panhandle. Our rustic-themed interior ensures your guests get a true Texas welcome! We would be delighted to host your wedding, reception, reunions, and other events. Give us a call today to schedule your tour and learn more about what we can do for you. Get in touch with our team today to learn more. Cornerstone Ranch is shown by appointment only. Please give us a call at ​(806) 243-1559 to schedule your tour today! My wife is from the Panhandle and she couldn't think of a more fitting place than Cornerstone Ranch to have our wedding reception. 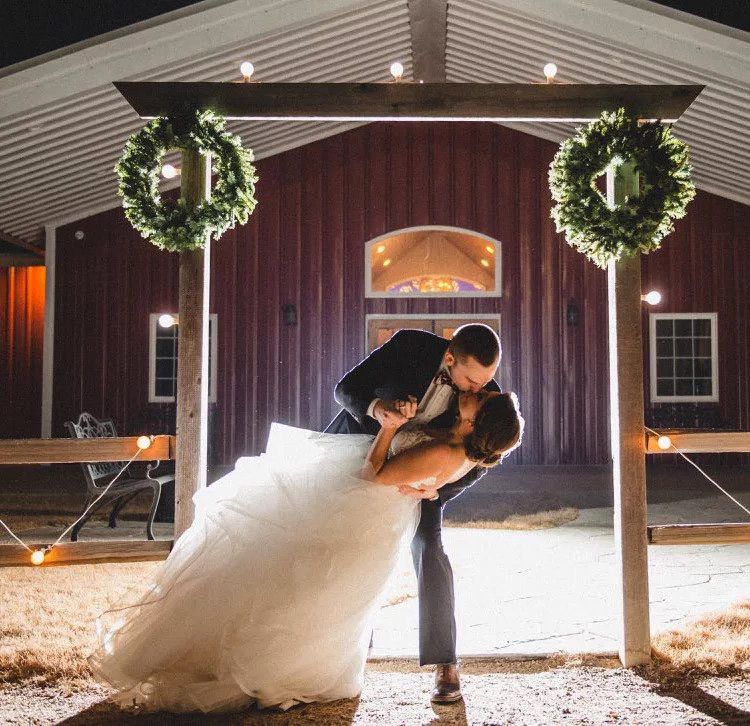 Coming from the city, I was surprised at how beautiful and elegant the barn looked. Everyone loved this place, especially the large dance floor. My family and friends that came in from out of town also loved the location as it was right down the road from their hotel. ©2019 Cornerstone Ranch Events Center | Do not copy.